Primitive braided runner by OakRidge™ is long on rustic style and durability! 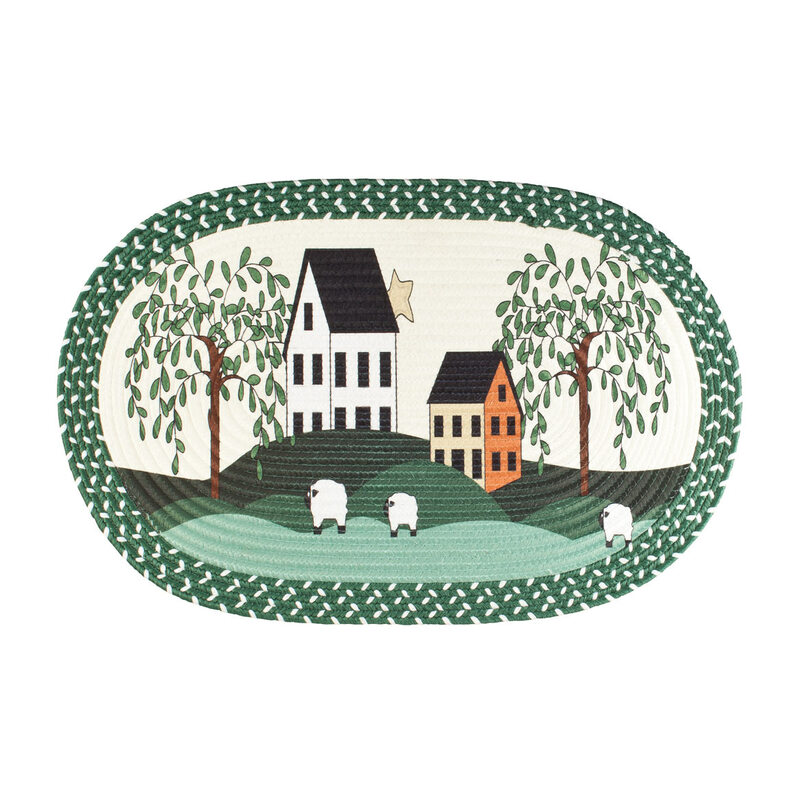 Perfect for kitchen or entryway, its thick braided design features a peaceful pastoral scene, complete with fluffy sheep and rolling hills. This braided rug stands up to heavy foot traffic and features a non-slip back to help secure it in place. Kitchen rug measures 29″ x 19 1/4″. 50% polyester/50% polypropylene. Spot clean. Primitive braided runner by OakRidge™ is long on rustic style and durability! 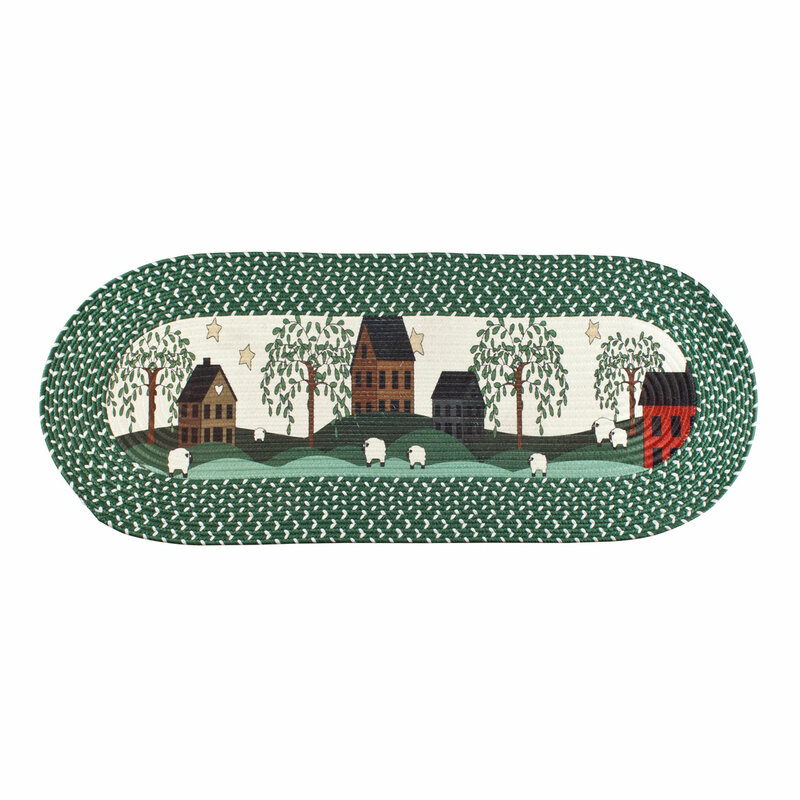 Perfect for kitchen or entryway, its thick braided design features a peaceful pastoral scene, complete with fluffy sheep and rolling hills. This braided rug stands up to heavy foot traffic and features a non-slip back to help secure it in place. Kitchen rug measures 47 1/4″ x 19 1/4″. 50% polyester/50% polypropylene. Spot clean. 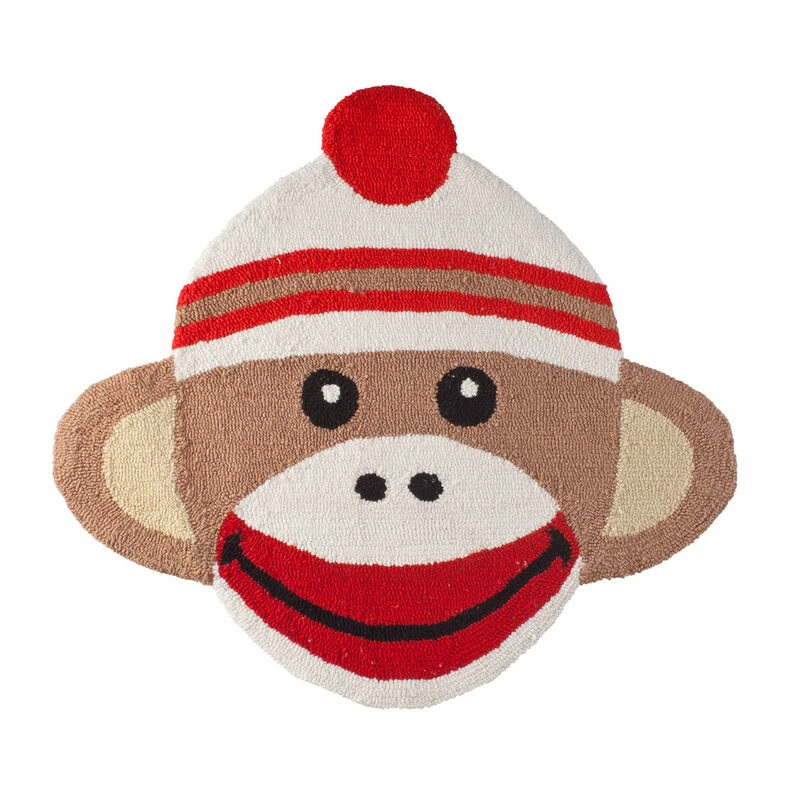 Inspired by America’s most-loved childhood toy, our Sock Monkey rug offers lighthearted charm for children’s rooms or play rooms—and it’s just as fun for your laundry room, powder room or den. The hand-hooked accent rug lends a pop of retro style and soft comfort underfoot, inspiring warm, fuzzy memories for a whole new generation to love. 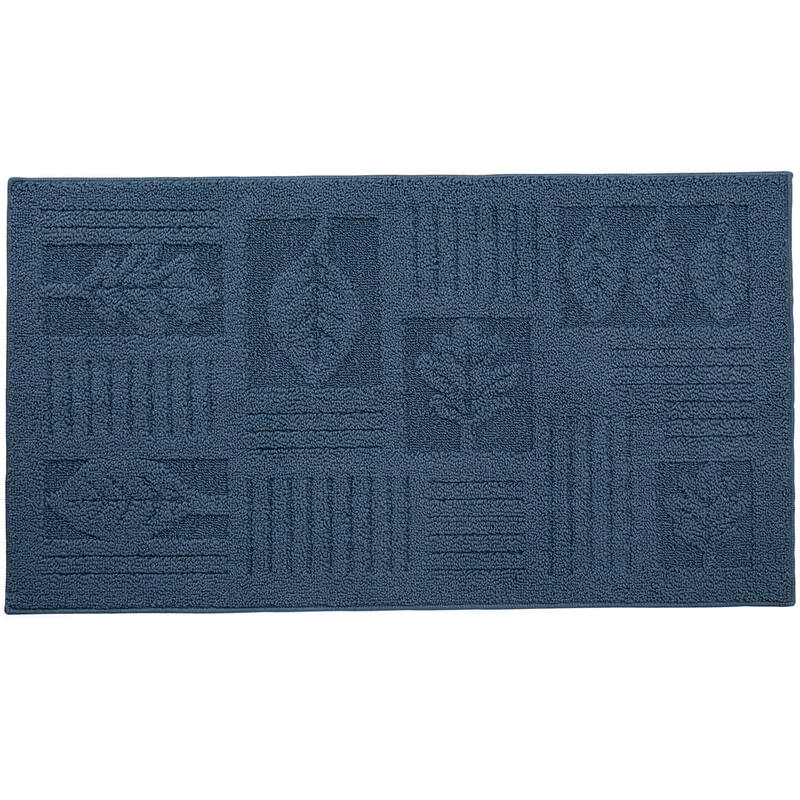 100% polyester with 100% cotton backing; hand wash. Indoor rug measures 29 1/2″ x 28 1/2″. Imported. This solid leaf imprint rug creates subtle dimension and textural interest in natural, solid earth tones—enhancing any space without overwhelming or looking “busy”. A versatile range of sizes (including our hard-to-find, extra-long runner rug) makes it easy to coordinate and finish any room’s look while warming and softening hard flooring surfaces. 100% olefin throw rug offers durable protection for high traffic areas; non-skid latex backing secures rug safely in place. Machine wash, cold; tumble dry, no heat. Imported. A solid choice in comfort and style! 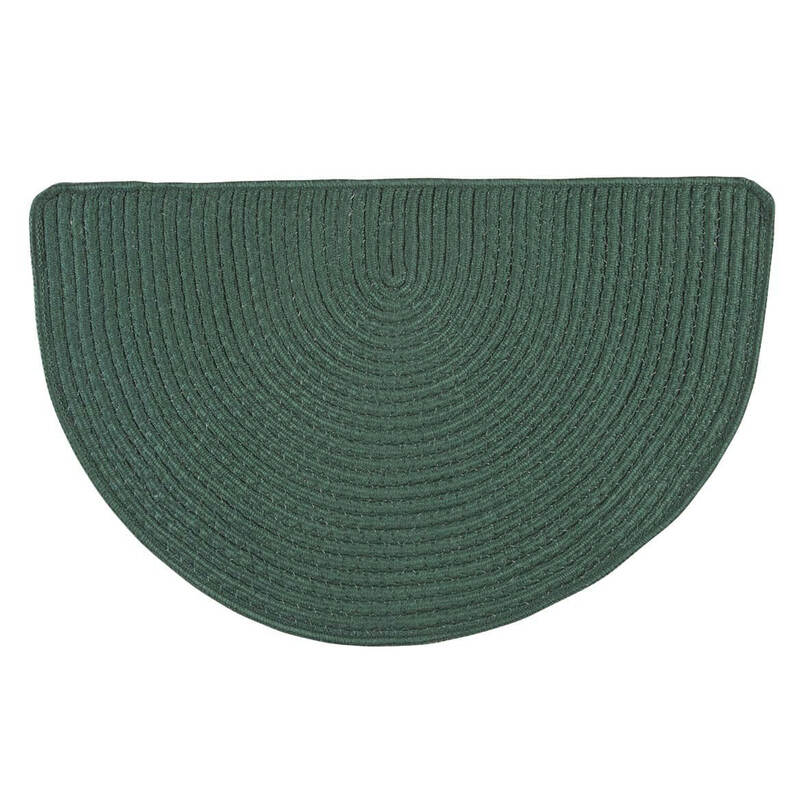 The perfect shape for a kitchen, entryway, bathroom or fireplace hearth, thisSolid Braided Slice Rug by OakRidge™ insulates against cold, hard floors while adding a colorful accent. 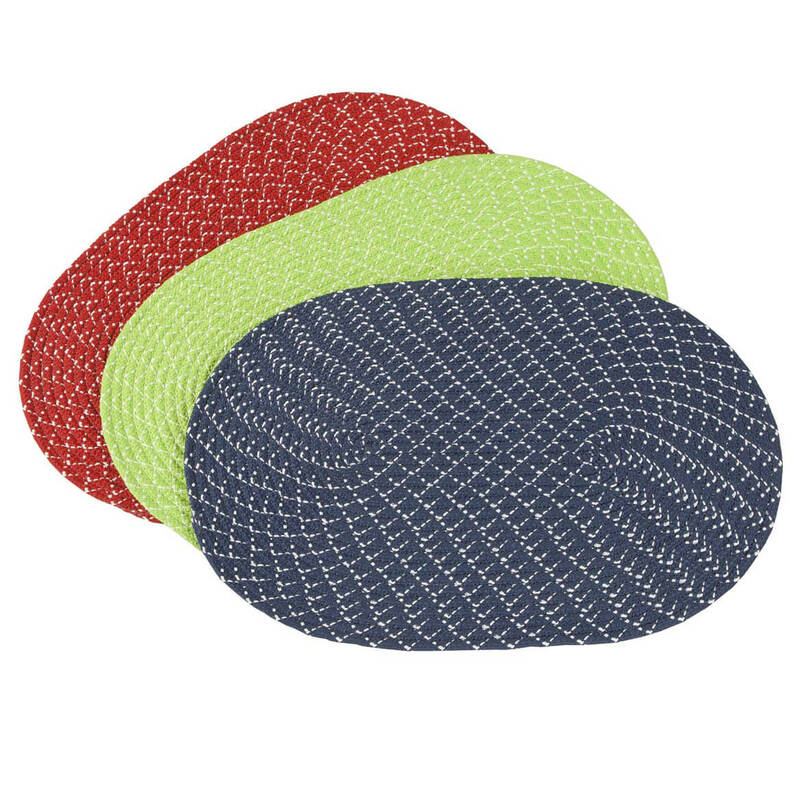 Poly/cotton blend is soft yet durable, with a non-slip backing for added safety. Machine washable for easy-care convenience. Specify color: burgundy, hunter green, navy blue, wedgewood or sage. 18” long x 30” wide. 47% poly/cotton with 28% polypropylene/20% rubber/latex and 5% other. Machine wash, mild soap, non-chlorine bleach as needed; tumble dry, no heat. Imported. 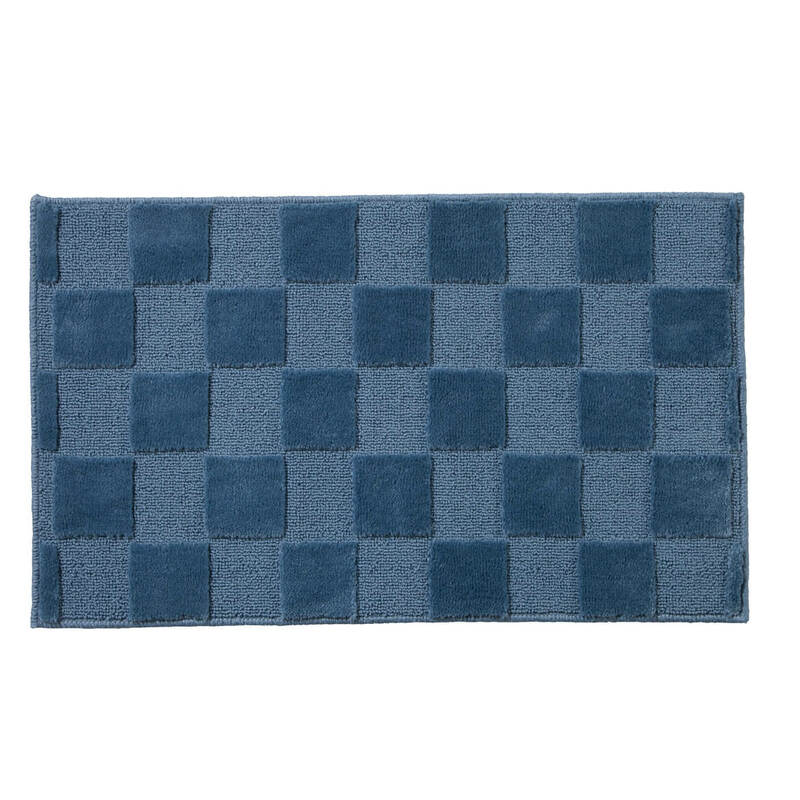 Tufted in a plush, tone-on-tone checkerboard pattern, our rug enhances your home in durable olefin with non-skid latex back. Machine wash, cold. Imported. Add soft warmth to hard floors while updating the look of any room. Starburst rug combines modern, abstract design with easy-care floor protection. Choose from 4 colors to complement any décor: brown, burgundy, blue or green. Durable, 100% olefin hallway rug features finished edges and a non-slip latex backing to keep rug in place, even in high traffic areas. Runner rug is available in 3 sizes to fit any space. Machine wash cold, gentle; tumble dry, no heat. Brighten any space with a splash of bold style! 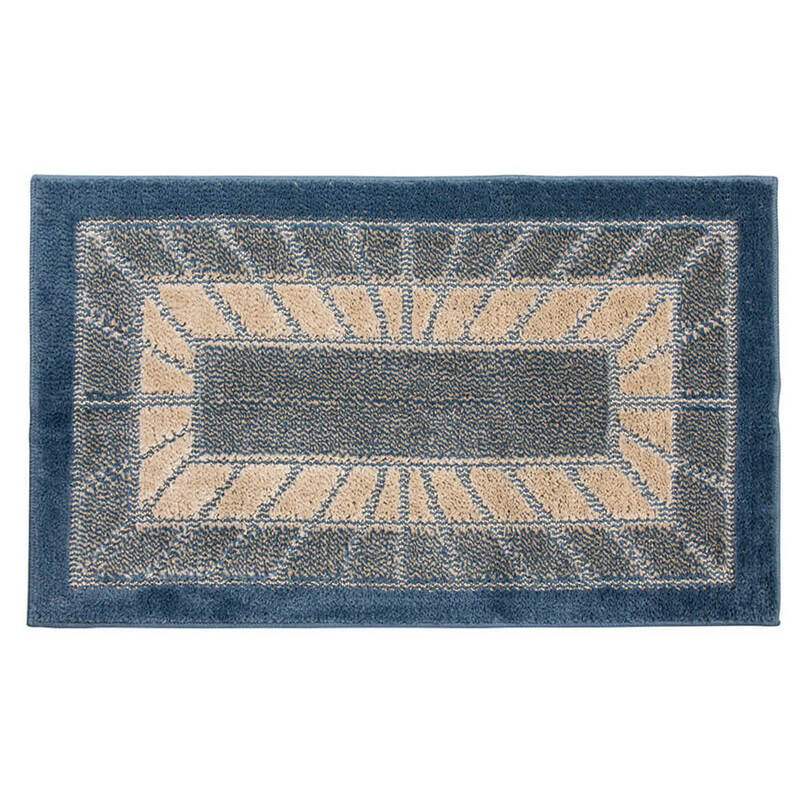 Quality-crafted classic braided rug adds eye-catching color and durable comfort indoors or out. Tightly braided design is reinforced with clear stitching and is reversible for twice the wear. Weatherproof rug dries quickly outdoors and resists sun damage, rotting and mildew. Specify color: red, lime or midnight blue. 30” long x 20” wide. 100% polypropylene. Spot clean. Imported. 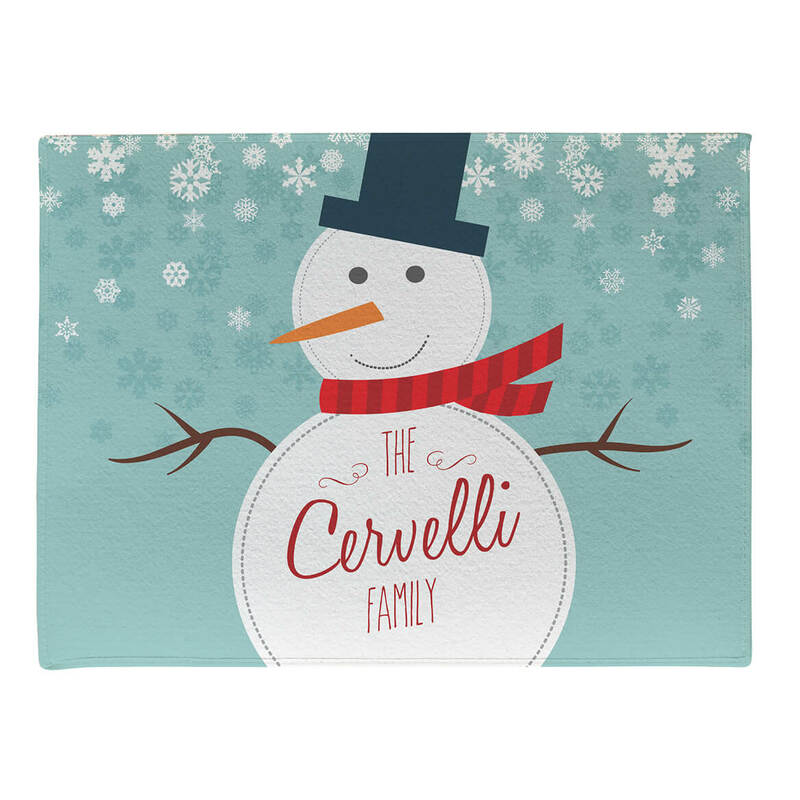 Personalized Welcome Snowman doormat displays the beauty of winter all season long. Custom doormat is made of a smooth fleece with a gripping latex backing. Recommended for indoor use, but can be used outdoors as well. Specify size: 18″ x 24″ or 24″ x 36″. Specify Family Name for personalization: limit 1 line/30 characters. (“The” and “Family” are standard). 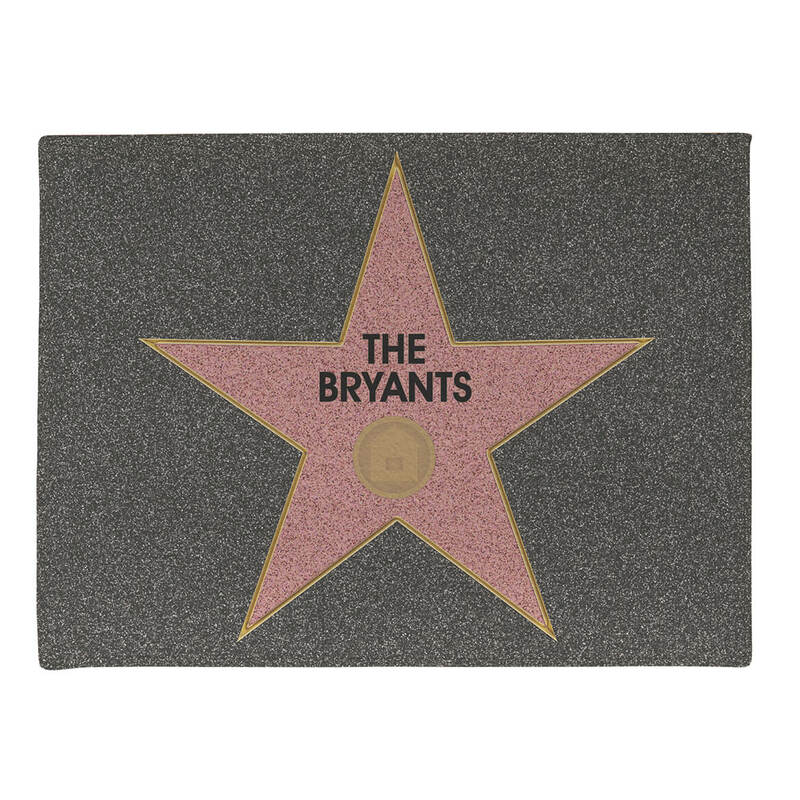 Everyone who enters your home will feel like a real STAR once they see your personalized walk of fame doormat. Personalized doormat is made of smooth fleece with a gripping latex backing. Recommended for indoor use, but can be used outdoors as well. Specify size: 18″ x 24″ or 24″ x 36″. Specify personalization: limit 2 lines/20 characters each.